But beneath that thin façade, the real Donald Trump has been so disrespectful to the military it would make your head spin, I can tell ya. 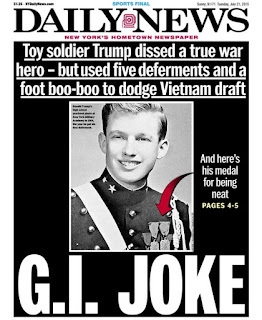 Never mind he was a 5-time draft dodger that included his fabled excuse of bone spurs. He also had been clueless as to the meaning of the Purple Heart believing it was some form of memento or souvenir from military service. Or that he's currently using our military as political props at the border for political purposes to thwart that menacing "caravan." Also troubling is the fact he has yet to visit U.S. combat service members overseas. As we enter Veterans Day Weekend in 2018, Trump continues to spit on the military and especially its Fallen. On November 10, Trump cancelled his visit to Belleau Wood battlefield and cemetery 50 miles northeast of Paris because of “scheduling and logistical difficulties caused by the weather,” according to a statement from the White House. In other words, on the 100th anniversary of the armistice ending the war, Trump wouldn’t pay a visit to the cemetery where over 1,800 U.S. soldiers and Marines were killed on the battlefield are buried. Some facetiously speculated it was either because his notorious hair would get wet or he still hasn’t mastered the complexities of opening and closing an umbrella. Nonetheless, Trump received major blowback for his decision prompting a rash of criticism on Twitter. 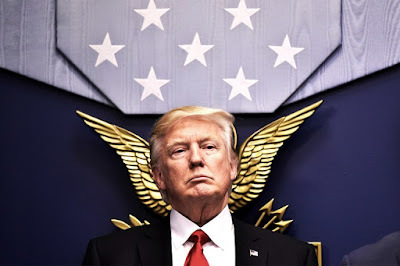 Nicholas Soames, a British member of parliament who is a grandson of former Prime Minister Winston Churchill, said that Trump was dishonoring U.S. servicemen. Trump can have all the military parades and trappings he wants. 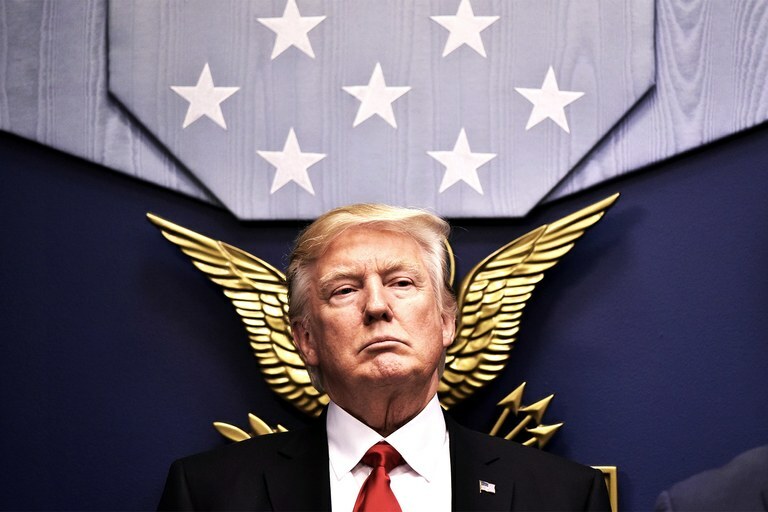 He can lie about his military spending vis-à-vis Obama’s, but it can’t alter the fact that this Commander-in-Chief does not understand or respect the military and those who have made the ultimate sacrifice.